Are you ready to grow as a writer? This critique add-on to is the next step in reaching your writing goals. We may write alone, but we don't write in a void. Ultimately, we want our work to find an audience. When you enroll in this course, you'll receive valuable feedback on your writing from the instructor. Who can enroll in this class? Anyone who is enrolled in the fiction writing course Master the Short Story. What is the purpose of this class? Students in this class will receive instructor feedback on a completed short story of up to 8,000 words at the end of the course. Why is this an add-on? Master the Short Story is designed to introduce students to the basic building blocks of narrative craft in a comprehensive, practical way. Students practice what they learn in the lectures by completing weekly assignments. This add-on is an opportunity for those students who are interested in further growth in their writing life to receive one-on-one feedback from a veteran writing teacher. What can students submit for critique? At any point in the course or after the completion of the course, you will submit a short story of up to 8,000 words for critique. The critique add-on is highly recommended if your goal in this course is to submit a story to literary magazines. When I see a complete short story, I get a better sense of your work as a whole and can help you shape the story into a finished piece. How long does it take to receive feedback? You will usually receive your critique within seven business days of submission. How do I submit my work? As soon as you enroll, you will have access to the WELCOME section, which explains everything in detail. What can I submit for critique? 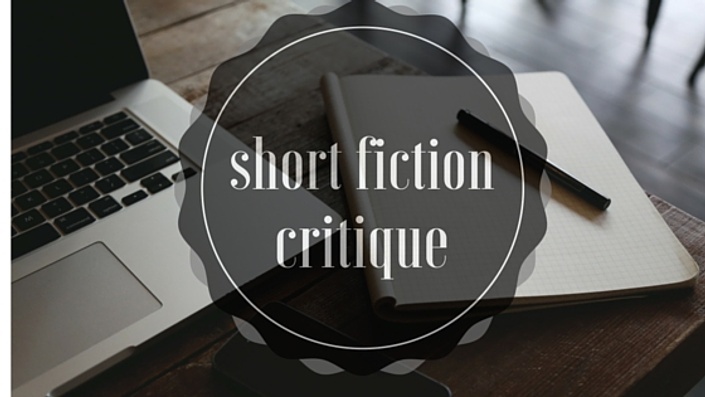 You can submit a short story of up to 8,000 words for critique. The course starts when you enroll and ends after you submit and receive feedback on your final assignment. You have six months from the date of enrollment to complete your assignments. How long does it take to receive my critique? You will receive feedback within one week. Who is eligible to enroll in this course? In order to enroll in this course, you must first be enrolled in Writing the Short Story.